Located southwest of Orlando near the Walt Disney World Resort and the Orlando International Airport, Hunter's Creek is a 4,000 acre award winning master planned community. Its combination of a great location, recreational amenities, local schools, and numerous restaurants, service and shopping locations make Hunter's Creek a great place to live and raise a family. Just minutes from downtown Orlando, Kissimmee, Walt Disney World and the Orlando International Airport, Hunter's Creek, Florida is centrally located and convenient to all of Central Florida. The Atlantic beaches and attractions of Coco Beach, Cape Canaveral and Daytona Beach are all within a short hour drive. 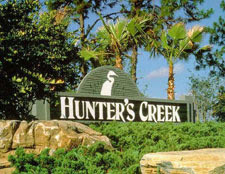 Whatever your interests, Hunter's Creek offers a convenient location to enjoy the amenities of Central Florida. With over 9000 residents, Hunter's Creek real estate offers a wide variety of home styles and prices. There are approximately 35 different neighborhoods that make up Hunter's Creek homes with single family homes priced from $140,000 to $700,000. Hunter's Creek Condominiums and Town Homes begin around $50,000. 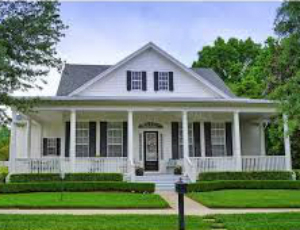 Now is the time to buy in this great community while prices are low. Hunter's Creek real estate may never be more affordable. Convenient for residents are two schools located within the community: Hunter's Creek Elementary School and Hunter's Creek Middle School. The Orlando area provides further educational facilities with Cypress Creek High School, Valencia W. Community College, Rollins College, Stetson College and the University of Central Florida. Stetson College's MBA school is only a short drive from Hunter's Creek. Hunter's Creek offers seven parks, with basketball, soccer and softball fields, tennis and volleyball courts and children's playgrounds and picnic areas. Add miles of bicycle and walking paths, and the Hunter's Creek Golf Course and families are free to grow and play. The Hunter's Creek Golf Course is one of the longest golf courses in Florida measuring over 7400 yards from the championship tees. The greens are very large so putting is at a premium to score well here. The best advice a golfer can get before tackling this golf course would be to make smart choices. If you miss a tee shot, take your medicine and lay up. There is plenty of trouble waiting for risk takers. This is a thinking person's golf course. There is some good news though. There are other tees to play from that are appropriate for all skill sets. Hunter's Creek is a true diamond in the rough. 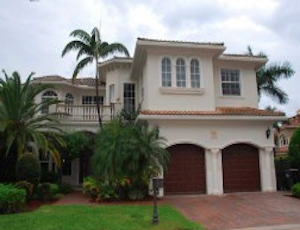 Use CelebrationHomeSales.com to Search for your New Home! Kristine Taylor is our local expert on homes for sale in Hunter's Creek and can work with you to find the best home for your family needs and budget. Click here to search for homes in Hunter's Creek or email Kim with any questions you have. Don't forget to save your home search and register to have daily emails sent to you with new homes on the market as they become available. Be the first to know of new listings or any changes to current listings by receiving the daily emails. Trust Celebration Home Sales to represent your interests as you buy or sell a home in Central Florida. Our sales agents live and work in the area and have the experience and integrity to find the best home based on your needs. Celebration Home Sales offers information to real estate buyers and sellers about the Town of Celebration, near the Walt Disney World Resort and the Southwest area of Orlando, Florida. Our MLS search tool allows you to search for homes throughout Central Florida, including Hunters Creek real estate and Hunters Creek homes for sale. 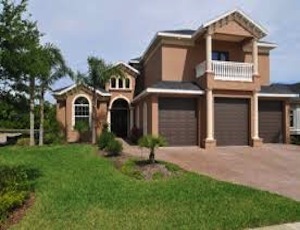 Hunters Creek offers Orange County Florida homes, just north of Kissimmee real estate and Kissimmee homes for sale. 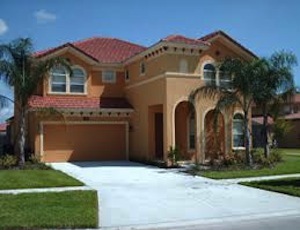 The Kissimmee Orlando area is located near the Walt Disney World Resort.